Huge congratulations to the Year 6 cohort who attended Orientation Day. Their behaviour was impeccable and their enthusiasm was infectious. Students had an amazing day trying out a range of different subjects. The beginnings of friendships have already been made and we very much look forward to meeting them again next year. In the lead up to Christmas, Corpus Christi College students gave the gift of their hand made and decorated teddy bears to unwell children at St John of God Murdoch Hospital. In the past, the bears have been a welcome gift for many children who find being in hospital a daunting experience. 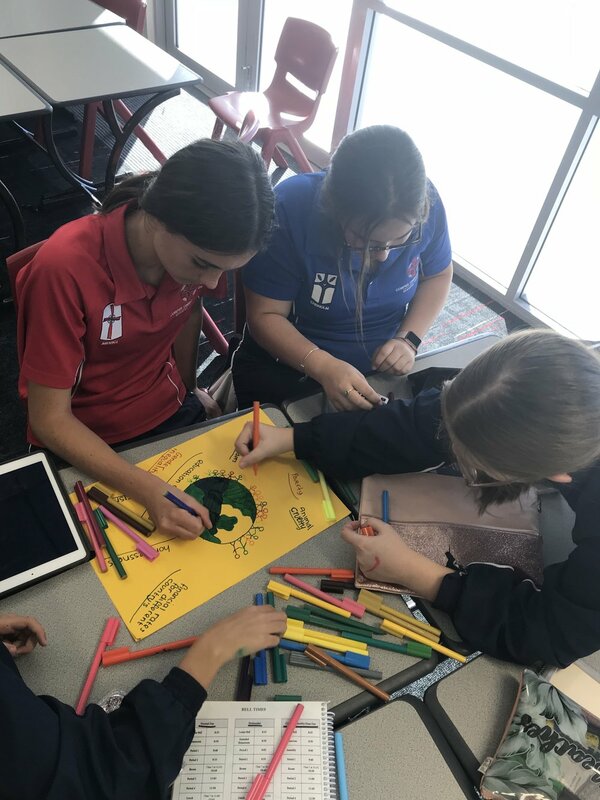 Corpus Christi’s Coordinator of Christian Service Katrina Thomas says the school endeavors to undertake Christian Community service with meaningful and helpful projects for the community. 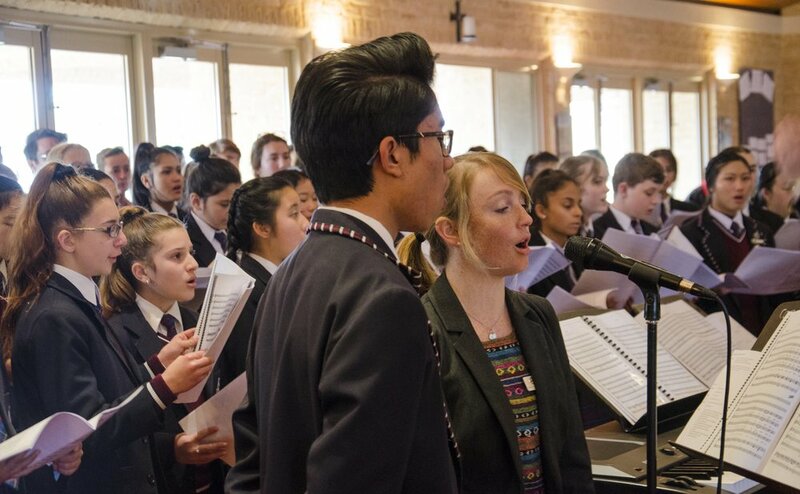 “The year seven students explored the idea of Christian Service and how through showing the love of charity, we could make a real difference in the life of others,” Ms Thomas said. 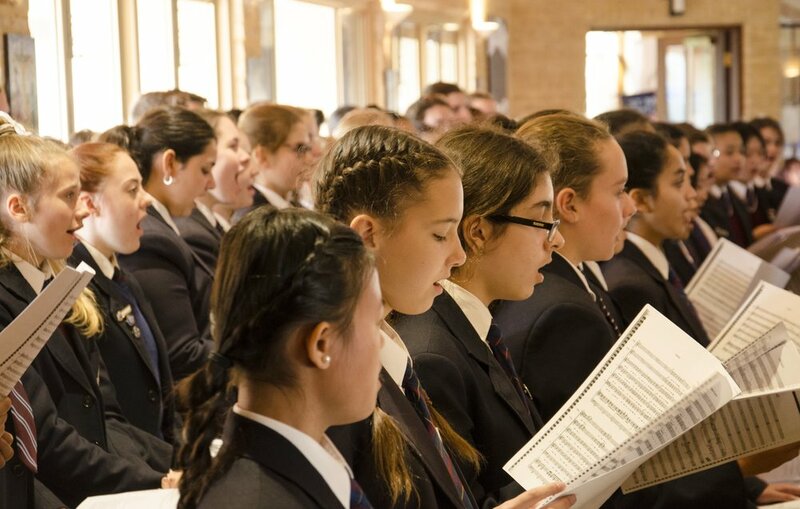 The Year seven choir from Corpus Christi College will also sing Christmas Carols in a number of different areas around the hospital. Parents will access their child’s report through SEQTA - Engage. These will be available after 5:00pm Thursday 14 December. · Logon to SEQTA - Engage as you have previously done or access the link from the College Intranet - https://intranet.corpus.wa.edu.au/. · Click on Academic reports – as highlighted below. 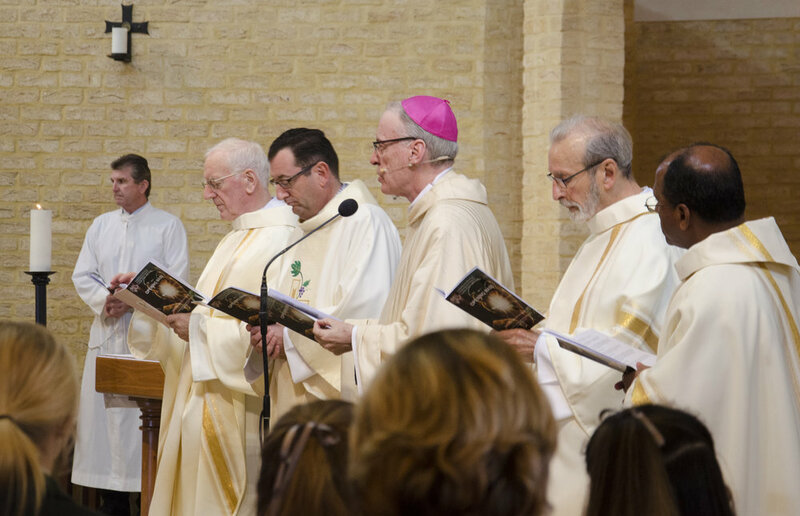 · When you access this section you will see all of your children. Select a child and then the Report titled 2017S2. · Under the Download section click on the pdf document that is there and access this as you normally would for a document of this type. (If you do not have a pdf reader installed on your computer this can be downloaded by accessing http://get.adobe.com/reader/). · Once the Report is downloaded you can now save and print this document if you wish. The Zoo Camp was very successful again this year. 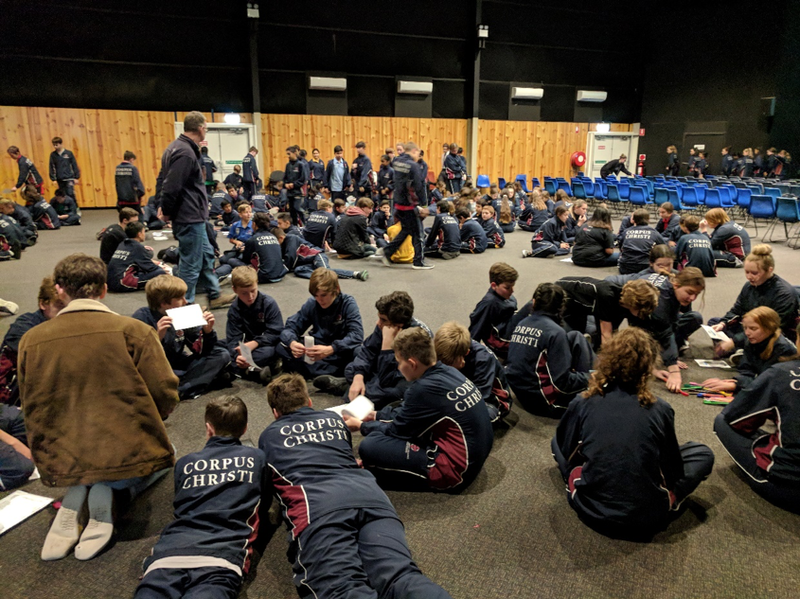 With five staff, Brian Hurn, Scott Connery, Jacqui Johnston, Taylor Matthews and Melissa Baines, twenty-three very well-behaved and motivated Year 8s who love animals attended with great excitement. This is a unique experience. Zoo staff constantly expressed admiration for how well and how quickly our students performed the various challenging activities. o conservation activities involving the endangered status of zoo species. o different enrichment processes that are used to engage captive animals. o construction of an enrichment activity for the Lemurs and Capuchins. o exposure to the sounds and sights of night at the zoo. 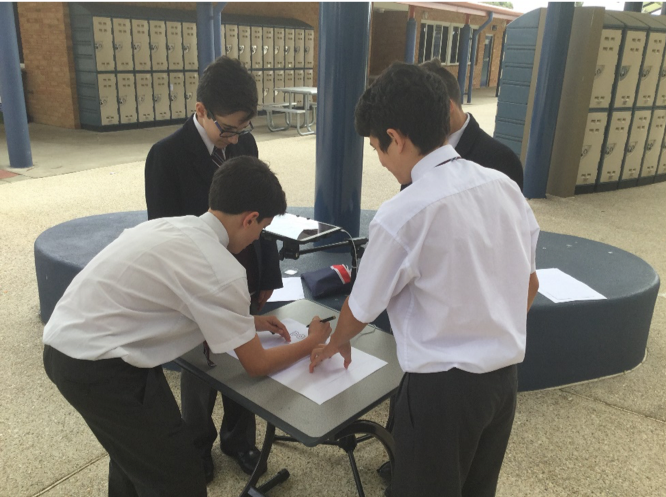 Year 8 Science classes have recently been studying Energy including the concepts of potential energy and kinetic energy. Students launched water bottle rockets to investigate the variables effecting distance travelled such as angle and water volume. Students have been treated to a reptile information and handling session. A variety of reptiles were available for close encounters of the scaly kind. Stimson’s pythons, Carpet pythons and Black-headed pythons were among the collection. 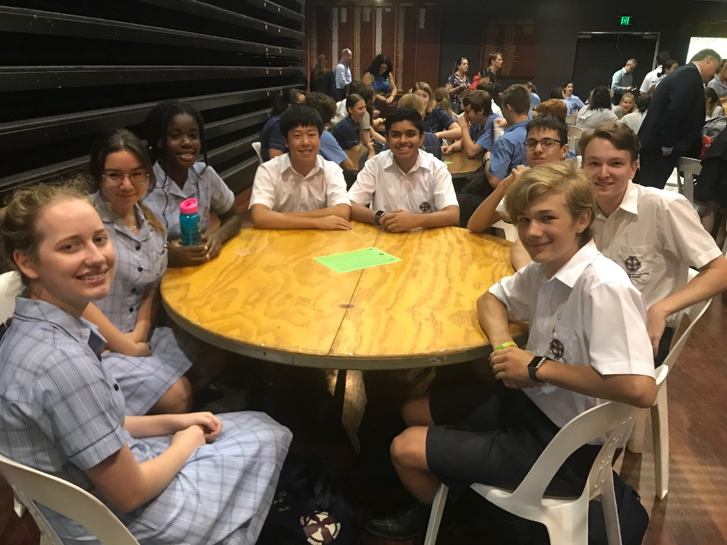 On the 4th and 5th of December 2017, ten year 9 students partook in a biotechnology and ethics workshop. On day one there was an incursion at Corpus Christi College in the Library. Corpus students met with the students from Emmanuel College and Prendiville College and played a short icebreaker game to encourage students from all schools to work collaboratively. We then separated into small groups to work with for the day. After this, we spent time with Dr Pedersen discussing the importance of ethics in science, the history of philosophy and some of the kinds of ethical reasoning- Utilitarian and Catholic. In the middle of the day, we reinforced our knowledge of ethics as it contributed in the discussion of the case of Henrietta Lacks and how it was morally wrong or right to refrain from compensating or at least notifying Lacks’ family about the use of Henrietta’s cells for research. We continued learning about the many discoveries found due to Henrietta’s HeLa cells. During the afternoon the we learnt about DNA, RNA and CRISPR. CRISPR stands for Clustered Regularly Interspaced Short Palindromic Repeats. It is a revolutionary technology that allows modification and editing of DNA. The afternoon concluded on an engaging discussion of the ethics involved with the applications of CRISPR. We thoroughly enjoyed the experience, especially learning about DNA and the ethical approaches involved in the development of biotechnology. We were truly inspired by the Henrietta Lacks story and how her cervical cancer cells have shaped and contributed significantly to so numerous medical and scientific advances that we know of today. On the second day, all three schools partook in an excursion to the Harry Perkins Institute of Medical Research. The day began with some basic laboratory skills such as the correct use of pipettes, followed by observing the HeLa cells by dying them using the various chemicals and then observing the basic uses of the centrifuge. We observed the cells via a microscope and our guide showed us how the HeLa cells were different to normal non cancerous cells. This was a great experience as we developed our practical skills in the lab. 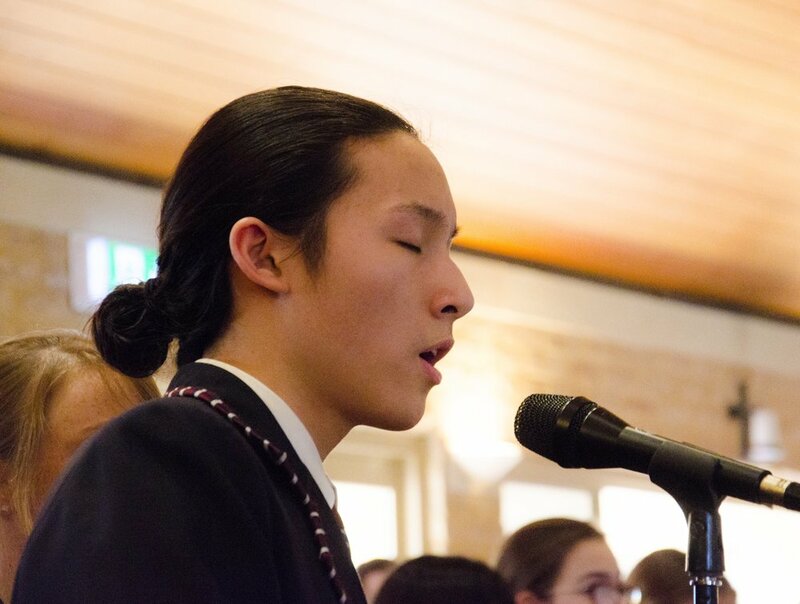 Following this, the year nine students were invited to participate in an ethics discussion. This discussion involved students considering what makes humans alive and the future of robotics, engineering and genetic modification. To conclude the ethical discussion a guest speaker was invited to tell us a bit about clinical trials and how sometimes rules can restrict important scientific research. This raised the importance of ethicists in today's society and their importance in the role of contributing to the development of scientific research today. This opportunity was really interesting as it engaged us to be open minded about how the world and environment develops around us and how the world is constantly changing whether we like it or not. These discussions were really beneficial as they allowed us to challenge our everyday thinking and to have a taste of what the science workplace can be life. The controversial questions that we had to face also related directly to the problems that we will have to face in the future when our generation becomes the leaders and decision makers of our world. We were also provided with the consequences that if we do not regard the differing sides of every story and make decisions based on information that may be biased or inaccurate. We also discovered the importance of thoroughly discussing issues and weighing out both the positives and the negatives of every decision before acting them out. By exposing the us to new ideas, we were able to communicate our opinions based upon facts which can hugely benefit our critical thinking skills. To support to students who require ongoing support with their future plans, I am providing a series of one-on-one sessions focusing on their options, direction and future pathways. These will start in the Careers Office in Term Four this year and follow through to next year. 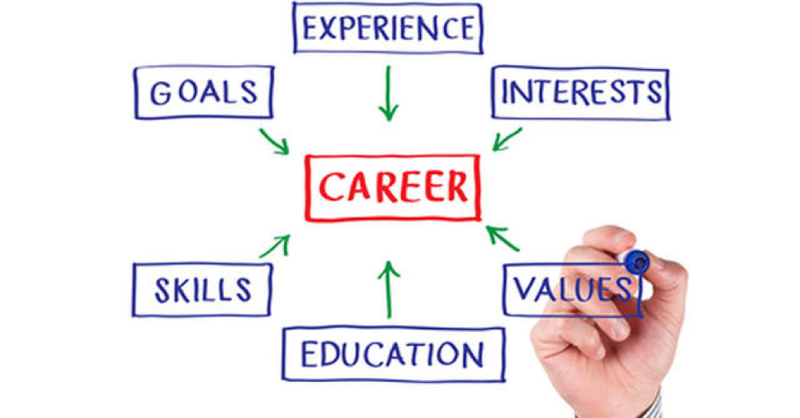 Rather than just a one-off meeting, students will attend fortnightly sessions for however long they need (approximately 10 weeks) to thoroughly explore career options, look through their options and commit to a plan/ pathway until such time they want to review it and change to a different defined pathway. Resilience is the ability to meet and overcome challenges in ways that maintain or promote well-being. It incorporates attributes like grit, persistence, initiative, and determination. We build resilience when we push students gently to the edges of their intellectual, emotional, social, and physical comfort zones. Our support and encouragement as they take risks, overcome challenges, and grow from failure helps them learn to bounce back from life's ups and downs. 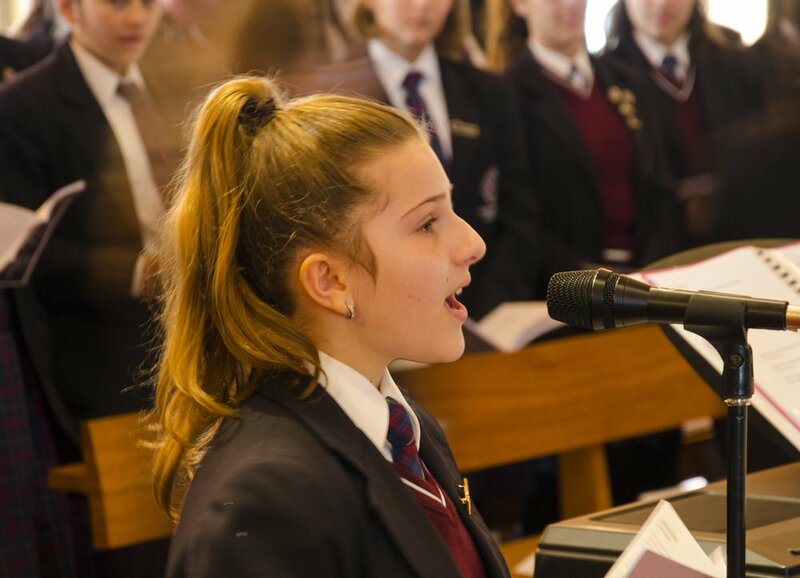 As you are aware Corpus Christi College is committed to innovation in our teaching practices and the foundation of this innovation is our 1-to-1 iPad Program. As the devices mature so too do the systems which allow us to manage the device in the classroom. In order to take advantage of these systems we have organised two methods for you to purchase an iPad for your children. We have worked to develop a relationship with a local Apple Channel Partner to set a bulk order price. If you purchase through Winthrop Australia the device will be delivered to the school and will be configured prior to pick-up. You will NOT need to attend the setup days described below. If you wish to purchase from a local retail store you are more than welcome to. However, the requirement will be that you attend during the iPad Configuration week to ensure the device is configured ready for the start of the academic year. These sessions have been in place for a number of years. Whilst there is no need to setup an appointment, we do ask that you backup any devices to iCloud and have your Apple ID username, password and any devices linked for two-factor authentication on-hand. This will ensure that we can get you up and running quickly. To ensure that your son or daughter is able to participate in all learning activities and install the necessary applications for their classes we strongly recommend the following minimum requirements for the device which you purchase. · iPad Air 2 32GB WiFi ONLY - iPad Mini is not suitable and Cellular device is not required. Upgrade to iPad 5th Gen, iPad Pro 10.5" or iPad Pro 12.5" at parents discretion. To ensure your device is protected we also recommend that you purchase a hard wearing case, consider a protection plan and purchase the compulsory applications. The College recommends the following. · STM Dux Case – or alternative case. · AppleCare+ - AppleCare Protection Plan provides hardware coverage directly from Apple and includes up to two incidental damage coverage, each subject to a $65 service fee. Other accessories e.g. Apple Pencil or Smart Keyboard can be purchased at parents discretion. As the Apple iPad is a very popular device, particularly in education, the demand for devices are also stressed around the Christimas holiday period. For this reason, we recommend that parents purchase student devices prior to the end of the academic year. After the completion of the following activities, students identified their learning styles. Students are now working on individual tasks tailored to their needs. This will aid with their studies leading up to assessments and are recommendations for some of the approaches to be taken when working at home. Some of the activities include. This week the Year 8 cohort have undertaken gender specific activities for the Pastoral Period. This session has been planned and provided to cater for the needs of the students, as a better understanding of these topics will better equip our students for their years ahead. The girls looked at the dynamics of ‘Girl World’ and how to deal with the differing dynamics that groups have. This session was all about empowering girls and was facilitated by Chanel Fenwick and Melanie Trant. The boys are undertook a session called ‘Boy’s World’ which looked at the use of respectful language towards each other and girls. This session also involved some physical activity and was planned and presented by Simon Messer and Sheldon McIntrye. Students viewed videos and had discussions focusing on “The Bystander”. Questions included, What does it take to act? So, what are the reasons ‘good people’ sometimes do nothing? And what does it take for a ‘good person’ to finally act? Individual NAPLAN 2017 student reports will be distributed to all families. Students will receive a personalised envelope in Homeroom by Wednesday 30 August. If you have not received your copy, please contact the College. For your convenience, the College has also added NAPLAN records in SEQTA. NAPLAN tests the sorts of skills that are essential for every child to progress through school and life, such as reading, writing, spelling, grammar and numeracy. It is important to remember that NAPLAN tests are not pass/fail tests. At the classroom level it is one of a number of important tools used by teachers to measure student progress. Information specifically for parents and carers can be found in the 2017 NAPLAN information brochure for parents and carers. NAPLAN is not a pass or fail type test, and is designed to illustrate the range of student performance across the country. Individual student performance is shown on a national achievement scale for each test. 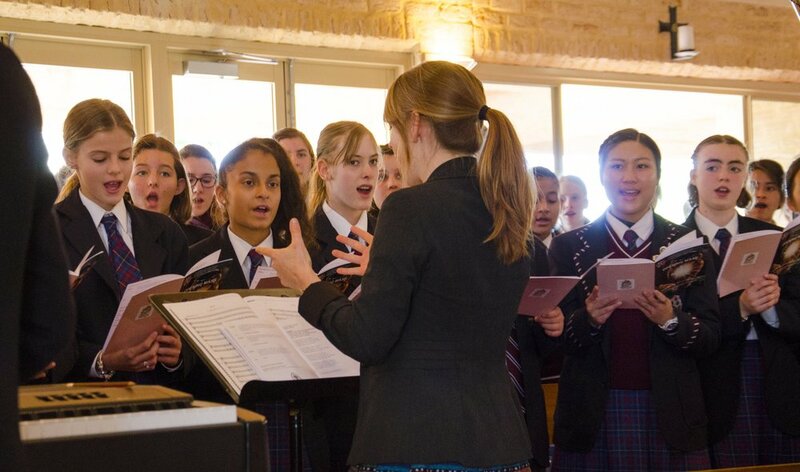 The performance of individual students can be compared to the average performance of all students in Australia. Information on individual student reports is available in the Student report- information for parents brochure. More detailed information on the reporting of NAPLAN results is available in the Results and reports section. The following VIDEO presentation provides further information about how to interpret NAP results: · View a video (5 min 39 s) that explains how NAPLAN results are reported, including the individual student report. Absences are to be covered by a written note, an email or a telephone call from a parent/carer. Students who arrive late (during Homeroom or after period 1 has begun) are required to sign in at Students Services. Those who leave the College for appointments before the end of the school day are also required to attend Student Services to sign out. Written notification from the parent/carer is required when a student is terminating his/her enrolment at the College. The student is also required to obtain a clearance form from Student Services. This enables outstanding book/resource/device loans and accounts to be checked and settled.